- Convex Mirror is available for indoor & outdoor use. - Available with post, frame etc as per client requirement. - Size: 450mm, 600mm, 800mm & 1000mm. - Industry: Construction Site, Hotels, Malls, Theatre etc. - Convex mirror fitted on top of telescopic metal rod. - Additional attachment of different size mirrors can arrange (optional). - Torch assembly for night operation. Solartech Underviewing Vehicle Mirror Trolly is a device which is used to detect hidden explosive material kept in vehicles. used to view a machine or any device to a dead end. Design: For night operation florescent tubes & lamps fitted. 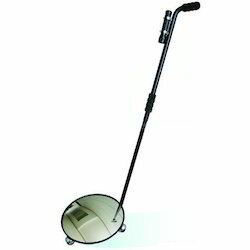 - Mirror Size: 12" x 24"
Telescopic Search Mirror ScorpionTM 700615. 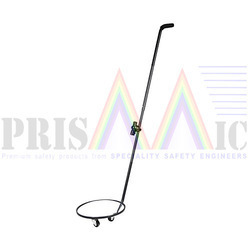 - Light weight for search overhead locations or in accessible area. - Torch assembly for searching in Dark.